Living our deepest values, out loud. The Unitarian Fellowship of Peterborough is a vital religious community that comes together to explore life’s questions and support each other in living with meaning and purpose. We welcome all who enter in friendship. We offer a wide range of programs, including Sunday services, religious and spiritual exploration for all ages, social justice initiatives, music, small group ministry, a non-fiction book club, and social functions and community. About 250 people are involved in the Unitarian Fellowship of Peterborough, including about 60 children and youth. 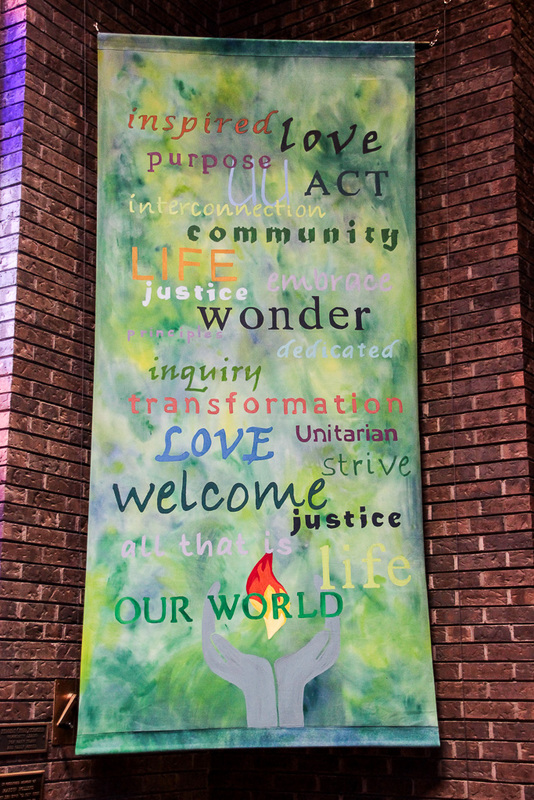 Grounded in love, the Unitarian Fellowship of Peterborough (UFP) strives to be a welcoming community that embraces life with wonder and inquiry. 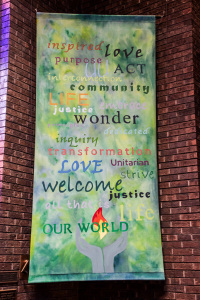 Dedicated to our Unitarian Universalist principles and inspired by our interconnection with all that is, we foster personal transformation and act for a just and sustainable world. Our Sunday services begin at 10 am and end at approximately 11:15 am from September through mid-June. After service, we connect over coffee, tea, and snacks. We offer Religious Exploration classes for children and youth, and a staffed nursery for those aged 3 and younger. Our summer services (July and August) are held on Sundays from 7 to 8 pm. Unitarian Universalist (UU) religious and spiritual perspectives balance reason and belief, intellect and intuition, mind and spirit. We are committed to spiritual and ethical values and to the celebration of life. We seek to empower our members to live their lives with integrity, to work for justice and peace in the world, and to respect the interdependent web of all existence of which we are a part. Ours is a faith of covenant. We are bound together by the promise we make to walk together in love. This means that we do not require affirmation of any particular belief or belief system for membership or participation. Rather, we promote religious freedom and respectful understanding of our differences. It is our sense that the universe is of such scope — magnificent, vast, and mysterious — that no-one and no one religion can hold the whole truth. We stand in wonder and awe before the beauty of our world, hoping to do justice to this gift of life by learning to think and act well, working for social justice, and sharing with one another the insights and truths of our hearts. We are an intentionally diverse spiritual community. We embrace and include theists, humanists, agnostics, atheists, freethinkers, Buddhists, pagans… — in other words, persons of many different spiritual paths and traditions. What we share is a desire to grow spiritually and to learn, serve, and celebrate together. We welcome all who share this desire, regardless of gender, age, race, education, socio-economic status, or sexual orientation. 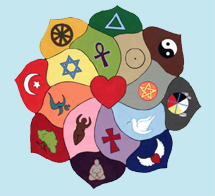 Unitarian Universalism is an international faith tradition with centuries of history. Nationally, we are affiliated with the Canadian Unitarian Council (CUC), and internationally with the Unitarian Universalist Association (UUA) and the International Council of Unitarians and Universalists (ICUU).